BEIJING (AP) — The arrival of a special train in Beijing and unusually heavy security at a guesthouse where prominent North Koreans have stayed in the past have raised speculation that Kim Jong Un is making his first visit to China as the North's leader. 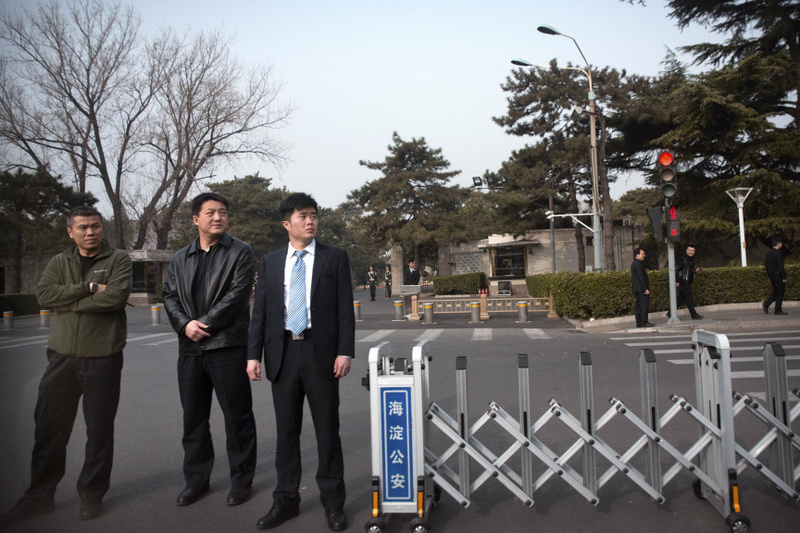 A vehicle convoy entered the Diaoyutai State Guesthouse in Beijing on Monday evening and a military honor guard and heavy security were seen later. That followed reports from Japanese network NTV and public broadcaster NHK of a special North Korean train arriving in Beijing under unusually heavy security. Shortly before 11 a.m. Tuesday, a convoy of official Chinese cars was seen leaving the east gate of guesthouse, heading in the direction of government offices and the city's two train stations. City police and the paramilitary People's Armed Police stood guard in the area and unidentified men in plainclothes attempted to prevent photographers from taking pictures. Cars in the convoy were identified by yellow stickers but carried no diplomatic license plates. The guesthouse had been the favored residence of Kim's father, North Korea's former leader Kim Jong Il.